Skvěle čitelné důležité informace na malém displeji mé 520+. Jediné co by se mi hodilo, je možnost si v některém poli zobrazit hodiny. Works well, nice amount of info all on one page. Will not work.... downloaded and sync to Garmin 820. Unable to find or use??? Great data field and very easy to read on the go. Would be useful to have additional customisation options to select... ie Time of Day, as an example. 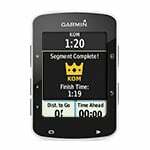 Also, would be useful to have different HR and cadence zones customisable to set colours by band so that HR iband is coloured according to HR power zone, as on other Garmin apps. Great work by this developer. I also have most of his/her Fenix 5 watch faces, which are all well thought out. Keep up the good work... a donation for a few beers coming your way! O layout é bacana. Porém poderia haver mais opções de dados para exibir (especialmente dados das voltas). Também seria interessante se houvesse a opção de mostrar só um campo grande na parte de cima e na de baixo. The layout is cool. However there could be more data options to display (especially lap data). It would also be interesting if you had the option to show only one large field at the top and bottom. Great app! Working perferctly on my Edge 520,thanks! Working perfectly in Edge 820. Simple display but very customisable. Only miss lap informations in fields. Thank you. Firmware 12.41 Beta Fixed the circle issue. thanks for your app. since the update 12.4 on edge 520, the circle used to represent the bargraph in the middle of the screen is visible. Since the update 8.70 of garmin there is a circle over the app on my 820.how can i remove the circle??? 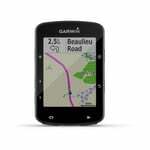 Since the last Garmin update, there is now a giant circle over the app on my 820. All fields work, and the blue/grey circle changes to red when I ride - almost as if it is taking the place of the HR and/or Cadence colour indicator. Please update the app. Thanks. Aps dosen't work after update to newest firmware version (from 8.50 to 8.70) on my 820 EDGE. 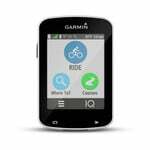 The hate rate zones don't work for Garmin 520? Not working on edge 820 explore.